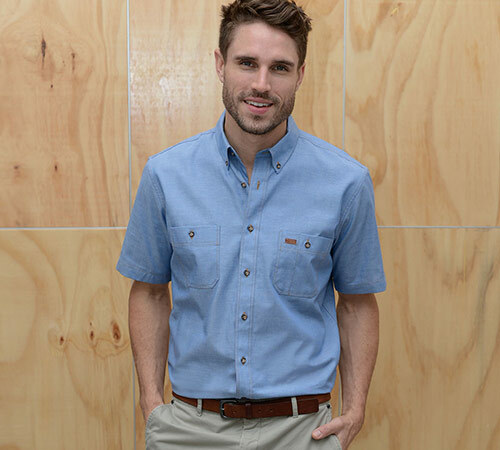 Novel Tees is proud to be a supplier of genuine Gloweave shirts to Melbourne, Sydney, Brisbane, Perth and elsewhere around Australia. Gloweave have been an established shirt specialist since 1944, so you can rest assured that they know these garments inside out and back to front. Over the years, the brand has become known for their innovation and quality of manufacture. Check out our range of genuine promotional Gloweave shirts today – you won’t be disappointed! We supply many branded Gloweave shirts, including: fine rib, original chambray, end on end, mini hounds tooth, poplin crease, twill pin stripe, dobby weave, cool breeze print, yarn dyed stripe and more. Personalised Gloweave shirts are available in three different fits – contemporary (for that classic fit), slim (with tapering from chest to hem) and 5045 (which is loose fitting and provides practical movability). Many of the customised Gloweave shirts in our range are available in both men’s and women’s sizes, ensuring that everyone in your workplace can have the same cohesive look and comfort offered by this brand.